The aim of Uphilo trading cc is to provide a high quality professional service entailing the values of “UBUNTU” and the understanding of putting the people’s needs before money, “BATHOPELE”. These objectives will insist in giving the client the value for money spent. We will provide quality trusted customised service in the electrical engineering, built environment and project management field that could deliver practical economical and feasible advice. We have made it our obligation to not participate in corruption activities; we do not give bribes as we do not accept them. We are in this business for a long run, we can be trusted. We do not participate in unethical activities. The Accreditations verifies that the electrical work and installations that have been completed are up to the regulations required by National Standards and can only be issued by a registered companies. 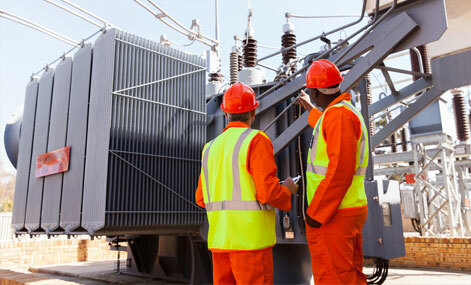 Electrical energy systems encompass the design of large electrical transmission systems, electrical machines, high power electronic converters and high voltage engineering. Uphilo Trading provide all the necessary planning and designs to implement large power intensive projects, requiring such design. Monitor and approve contractors’ construction schedules. Monitor project budget and costs to prevent funding shortfalls to Contract budget due to change orders, delays, etc. Monitor contract’s construction, budgets, and contingency funds. We have the knowledge, experience and capacity to undertake project management varying in size and complexity, and have the experience of being the Principle or Lead Consultant in various projects. 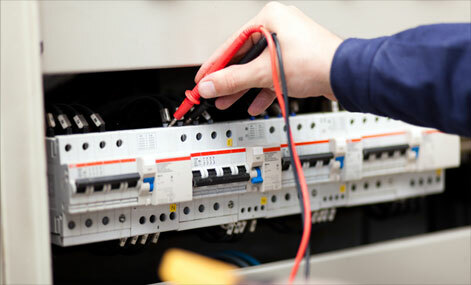 Uphilo Trading is equipped to manage all of your commercial building electrical requirements at every level—from multi-million Rand new-build projects to minor electrical installations and repairs. At each and every commercial level, our goal is to create a commercial electrical system that insures safety and energy efficiency, while at the same time equipping work spaces for maximum productivity today and as needs grow over time. 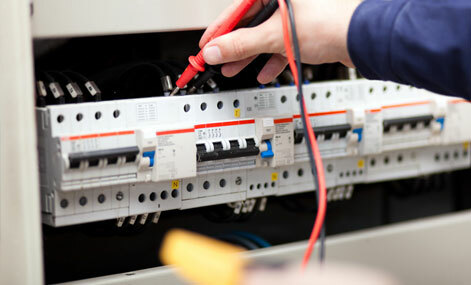 With over 8 years of experience of providing nationwide technical safety services, Uphilo Trading enables you to comply with vital electrical safety regulations with ease using our electrical testing services. We can help you to ensure the efficient working of both fixed and portable devices easily and with minimal disruption as well as undertake any essential repairs that may be required. Uphilo Trading has emerged as a pacesetter and a Leader in the Industrial Electrical Construction & Maintenance field. Uphilo and its methods have proven to be the cost-effective approach to reliable operation. Uphilo Trading has offered clients construction & maintenance programs that ultimately reduce cost and demands, while maintaining stringent quality measures. Uphilo is a close corporation with an excellent record of success. Since 2008, we have consistently demonstrated a level of integrity and stability that has led to many continuing relationships with clients who appreciate our reliable and timely completion of projects, and our leadership. A great way to add a little bit of style to your home is to install custom lighting fixtures.